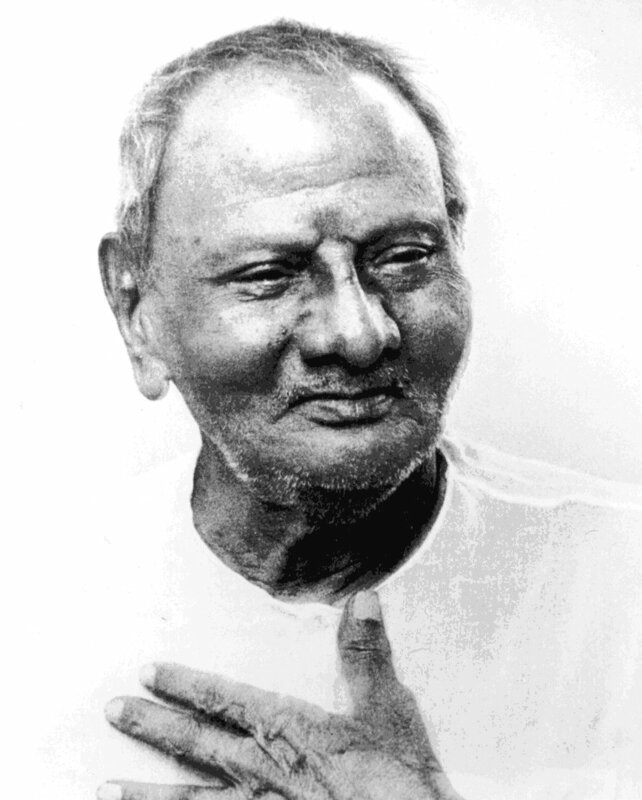 Theosophical Society of San Francisco: SFTS Lodge Dharma Message for February 2019: "This is What I Call Nisarga Yoga, the Natural Yoga ..."
SFTS Lodge Dharma Message for February 2019: "This is What I Call Nisarga Yoga, the Natural Yoga ..."
Excerpts from "I Am That: Talks with Sri Nisargadatta Maharaj"
"Awareness is primordial; it is the original state, beginning-less, endless, uncaused, unsupported, without parts, without change. Consciousness is on contact, a reflection against a surface, a state of duality. There can be no consciousness without awareness, but there can be awareness without consciousness, as in deep sleep. Awareness is absolute, consciousness is relative to its content; consciousness is always of something. (…)." "When you see the world you see God. There is no seeing God, apart from the world. Beyond the world to see God is to be God. The light by which you see the world, which is God, is the tiny little spark: ‘I am,’ apparently so small, yet the first and the last in every act of knowing and loving." "God is only an idea in your mind. The fact is you. The only thing you know for sure is: ‘here and now I am.’ Remove the ’here and now’ the ‘I am’ remains, unassailable. (…). All I can say truly is: ‘I am,’ all else is inference (…). The sense ‘I am’ is the manifestation of a deeper cause, which you may call self, God, Reality or by any other name. (…)." "A weak mind cannot control its own projections. Be aware, therefore, of your mind and its projections. You cannot control what you do not know. On the other hand, knowledge gives power. In practice it is very simple. To control yourself – know yourself." "Meet your own self. Be with your own self, listen to it, obey it, cherish it, keep it in mind ceaselessly. You need no other guide. As long as your urge for truth affects your daily life, all is well with you. Live your life without hurting anybody. Harmlessness is a most powerful form of Yoga and will take you speedily to your goal. This is what I call nisarga yoga, the Natural Yoga. It is the art of living in peace and harmony, in friendliness and love. The fruit of it is happiness, uncaused and endless." "I am all and all is me. Being the world I am not afraid of the world. Being all, what am I to be afraid of? Water is not afraid of water, nor fire of fire. (…) It is attachment to a name and shape that breeds fear. I am not attached. I am nothing, and nothing is not afraid of no thing. On the contrary, everything is afraid of the Nothing, for when a thing touches Nothing, it becomes nothing."